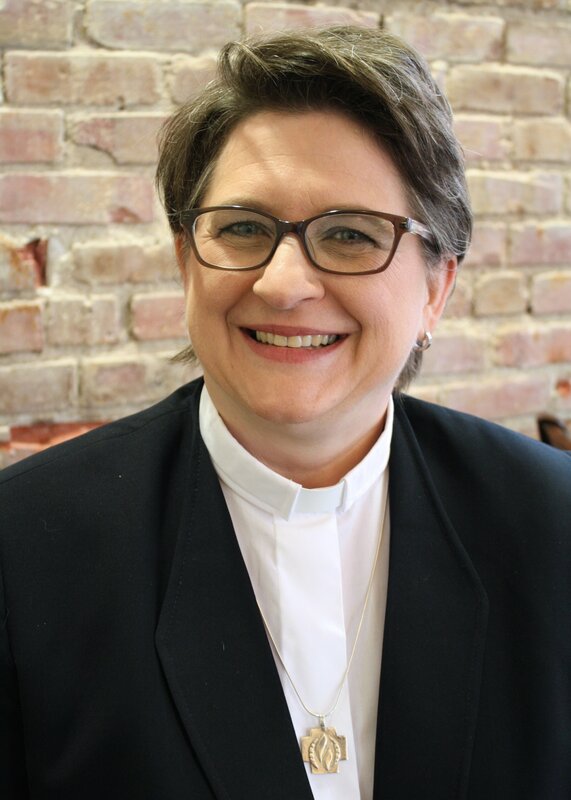 The Reverend Rachelle D. Brown is a ministry leader who addresses challenges through strategic planning and brings creative energy that fuels action. Her interdisciplinary education and experience includes communications, marketing, systems theory, theology, and ethics. Rev. Brown employs a collaborative team-building model that inspires transformation. She uses both metrics and relationships to evaluate strategies and actions that emerge from clear objectives. Developed a new program to form MCC Emerging Churches based on a blend of best practices from mission and activist movements. Created an Emerging Church Leader training curriculum offered virtually in a hybrid of synchronous and asynchronous formats. Over 45 participants enrolled; 35 completed the training. Networked with persons interested in developing a new MCC presence in a wide range of nations and entered discernment towards ministry goals. Oversaw the formation of 17 MCC Emerging Churches, of which MCC established a new presence in seven nations and three new states within the United States. Empowered leaders from outside and within MCC to develop a new MCC ministry presence. Recruited new potential leaders to consider MCC ministry. Provided resources, support, and event planning for thirteen churches and ministries within the Network. Planned and presented two network gatherings while providing connectivity to network churches. Organized churches and volunteers to provide hospitality at the UFMCC General Conference in Chicago, IL, and assisted various churches in pastoral transition. Collaboratively created liturgies in various forms including creation of original content. Coordinated volunteer participants and speakers. Assisted congregation in transitioning from a founding pastor into a more established identity as a mission-oriented worshipping community. Managed fiduciary, administrative, personnel, and worship responsibilities. Provided weekly worship planning, served as moderator of the Board of Directors, strategic planning, coordination of volunteers and training ministry leaders. Led church to identify, and transition into, a stable worship location to meet both ministry and financial needs. Improved financial health of the congregation. Led congregation in a transition from a founding pastor with just over 20 members into a vibrant, diverse church with over 50 members. Provided fiduciary, administrative, and worship management. Formed and executed a capital campaign for the purchase of a church building and acreage obtained May, 2010. Weekly preacher and worship leader. Acted as the Moderator of Board of Directors and established a Board of Trustees for property management. Level II Chaplain for a Top 10 hospital in the U.S. Responsibilities included coordination of spiritual care for over 150 patients and hospital staff on a daily basis, including grief facilitation, pastoral counsel, family meetings, crisis intervention, and weekly in-house on-call shifts in the Level 1 Trauma Center. In facility on-call providing spiritual care in cases death and dying, crisis and trauma in the Level 1 Trauma Center. Participated in weekly worship, trained worship coordinators, co-developed a manual for lay-led congregational care ministry, and participated in training of ministry leaders. Organized and facilitated the College Campus ministry outreach program to Washington University, and St. Louis University, through the Wesley Center, which included weekly small group studies fostering spirituality in young adults. Participated in weekly worship with FCC-UCC, planned occasional worship services, and preached as needed. Small group assistant and classroom facilitator for the Abuse Prevention Program (section for men), assisting perpetrators of domestic violence in rehabilitation and fostering emotional, personal, and spiritual transformation. Gender education and transgender advocacy workshops offered in either one day or four-week meeting format. Provided free to community participants. Hosts for workshops included Lutheran School of Theology at Chicago, IL, and First Unitarian, Evanston, IL. Creating presentations, moderating panels and small group discussion for Network gatherings. Designed curriculum and taught multiple sections of “Introduction to Public Speaking” and “Introduction to Mass Media” courses. July 2013 – Chapter “Beyond the Open Table” in the anthology Queering Christianity edited by Robert E. Shore-Goss, Thomas Bohache, Patrick S. Cheng and Mona F. West. Oversaw and participated in strategic planning, campaign development and execution, project and budget management for national, regional, and local consumer and business-to-business clients. Specialized in the integration of messages and branding across multiple mediums. Recruitment of clients, project and budget management for regional clients. On-air broadcaster, music director, assistant program director, and event management. 14 July 2017 What Happens When a Pastor Goes Poly?